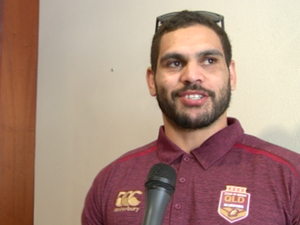 JT talks about Origin game one and what's next. Rugby League TOWNSVILLE is jostling with Brisbane to secure backing for a statue of Johnathan Thurston to be unveiled outside the new CBD stadium. Rugby League Skipper Cameron Smith will bring his Maroon Marauders into enemy territory today as they finalise preparations for Wednesday night’s opening Origin clash.